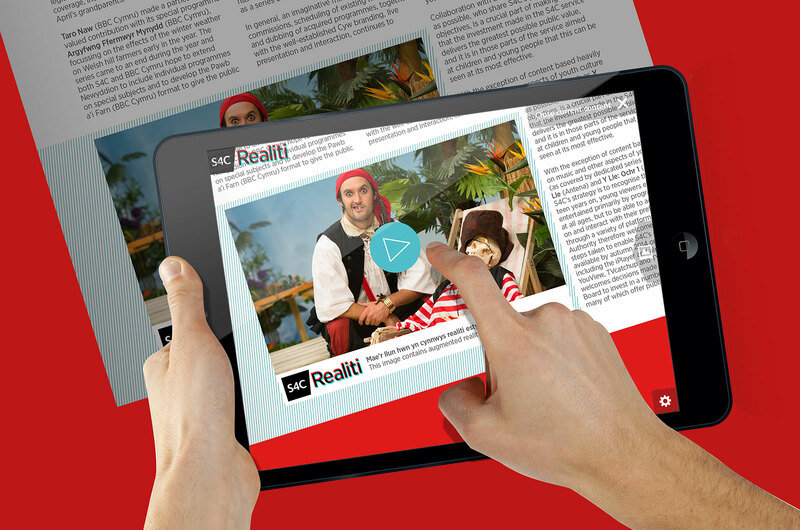 Working with our client S4C television, Spectre have developed an AR video platform and app. The app is aimed at raising audience awareness increasing uptake, by supporting S4C's wider marketing activity. It enables the on-the-fly deployment of AR markers and video content, supporting upcoming broadcast schedule and other key activity, via an AR cloud infrastructure. Users download the app from the App Store or Google Play, then scan real-world markers (eg press or outdoor) to activate an array of AR video trailers and shorts. The app includes analytics integration and captures user behaviour and other key metrics.